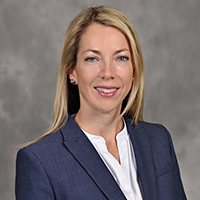 Jamie Beggs is senior vice president and chief financial officer of Hunt Consolidated, Inc. She has oversight for the finance functions and guides the organization's financial strategies in alignment with the strategies of the business. Her duties extend to all the group of privately held entities of the Hunt organization. Previously, Beggs worked for Celanese Corporation for 10 years where she held a number of finance and business-related positions, including vice president and treasurer and chief financial officer of their Materials Solutions division. Her business-focused roles included positions in new market development, strategic business analysis, innovation pipeline growth and procurement. She is originally from Houston and attended the University of Texas at Austin where she earned a BBA degree, with highest honors, and an MPA degree in accounting. After graduation, Beggs was hired by PricewaterhouseCoopers where she became a certified public accountant and served primarily oil and gas audit clients. Subsequently, she relocated to Dallas to work for the Public Company Accounting Oversight Board before joining Celanese.